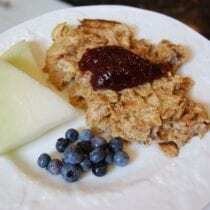 your recipe called Pan-Fried Matzo Breakfast is a very common Jewish dish served over Passover. It’s called Matzo Brie…Made the same way except you can add grated onion and other seasonings to taste. I just came across your site the other day. I LOVE it!! And all the ideas. The last few years, I have really been cutting out all the processed stuff such as Hamburger helper, boxed stuff, bagged stuff, and have really been working at making everything.. or pretty much everything. Finding your site makes things soooo much easier!!! Ok, so, on to the reason I am posting on this recipe. 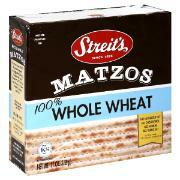 I have never had Matzo before. Neither have my girls, of course. We all tried one plain yesterday and it was… ok. Not in love with it. So I thought, well, I will try this. With 5 girls to try to please, it’s not easy. My older 2 didn’t really like it with the jelly, but liked it with cheese, my 3rd DD didn’t like either version at all. My 4th DD gobbled up the jelly version. My 5th DD took 1 bite and spit it out.. she just turned two, so maybe if I give her some time, she will come around. I tried both versions and have to say, if I could eat this I would eat the one with cheese. The Jelly one is to sweet for me. I can’t eat eggs because they make my stomach cramp up really bad, but I did want to taste it at least. As Dee said, this is a very common Passover breakfast dish; it’s really just french toast but with matzo instead of bread (since bread cannot be eaten during Passover). Like french toast, I grew up eating it topped with cinnamon/sugar and maple syrup. My 3 year old loves this (but only after the second time I made it), asked for it every morning during Passover and was asking for it for close to a month after Passover ended. 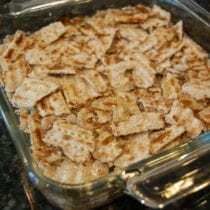 To those trying matzo for the first time, it is VERY plain by itself, but you can use it as you would bread and top with butter or pb&j or even make matzo pizza (sauce and cheese, toast it). This is what my mother has always called Matzobri. Except she first frys up a little minced onion, and instead of serving with Jelly, maybe a little apple sauce on the side. Thank you for sharing this recipe (and especially the brands of Matzos! )… do you have a specific brand of jelly you buy as well? I wasn’t able to find one in my local grocery store that did not have added sugar. Try looking for an “all fruit spread” as opposed to “jelly” although it should be next to the jellies. It is sweetened with fruit juice concentrate as opposed to sugar. Polaner is a brand that is fairly easy to find, although I don’t believe they have organic. You might be able to find the best options online. This is an old post, so maybe you’ve already figured this out: Dr. Robert Lustig in his book “Fat Chance” talks about fruit juice concentrate. It does not resemble anything you would use in your kitchen and is a really refined sweetener. I have yet to find an all-fruit spread that doesn’t use it, so I choose a low-sugar jam with “sugar”, which usually has fewer grams of sugar on the label anyway. We eat this on Passover too, but we add mashed ripe bananas with the egg mixture. Love it that way! As I was fixing it, I kept thinking it was like a Jewish version of French toast. I added a sprinkle of cinnamon, a drizzle of agave, and topped it with strawberry all fruit spread hoping the added sweetness would appeal to my VERY picky 5 yo son. My son didn’t want to try it because of the appearance, but did get one bite down (barely). My husband and I both ate our servings, but I have to say neither one of us LOVED it. I think it might be better as a savory dish with onion (or chives) and cheese as suggested by other readers. 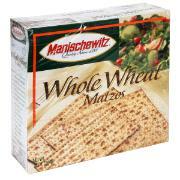 Soaking the matzo in milk instead of water might also increase the protein content a smidge. Adding fresh ground flax seed would also give it a a bit of a nutritional boost. I think the recipe as is makes a great base to play with and definitely has potential. What can be used in stead of eggs? Is there a substitute. We are already pretty much real food, however we are going completely vegan for 21 days (Daniel Fast) so I am looking for some good vegan breakfast recipes. I’m 78 & had grandmother’s until my early 50s so I remember how they both made fried matzos. One was Ukrainian & one was Polish.This recipe is the closest .They never used milk in any way. For use with meat they fried in schmaltz,with milk they fried with butter. They​ only used water to soak and then used salt and pepper. After my mother was married she decided that she liked maple syrup on the matzo.Both my grandmother’s thought she was crazy!